Dr. Chapman accepts the following list of insurance providers. Select your insurance provider to see more details. As a physician-scientist and specialist in melanoma that has metastasized (spread) to other parts of the body, I care for patients with this cancer in the clinic and search for new therapies to control and cure the disease. Since joining Memorial Sloan Kettering in 1988, I have diagnosed and treated thousands of patients with metastatic melanoma. This aggressive type of cancer begins in specialized pigment cells and spreads from its original site to lymph nodes, and eventually to other parts of the body. In the past decade, we have gained significant insights into two areas of melanoma that have led to drug development. The first finding relates to genetic errors contained inside a melanoma cell, and has enabled the development of drugs that target these errors. The second is an expanded understanding of how the body’s immune system can recognize cancers like melanoma. From this we have learned how to activate a vigorous immune response against the disease. In an advance that helped to launch a new era of personalized medicine in melanoma treatment, I led a clinical trial that partially paved the way for the 2011 approval of vemurafenib (Zelboraf®), by the US Food and Drug Administration. This drug targets a mutation in a gene called BRAF, which is present in about half of patients who have metastatic melanoma. We also learned that a small proportion of melanomas have mutations in other genes, some of which we can target with different drugs. In addition, I was one of five Memorial Sloan Kettering scientists recently appointed to a melanoma “Dream Team” sponsored by the nonprofit organization Stand Up To Cancer and the Melanoma Research Alliance. This team’s project focuses on identifying potential therapies for metastatic melanoma patients who do not have the mutated form of the BRAF gene. My collaboration with Memorial Sloan Kettering colleagues led to the 2011 FDA approval of the monoclonal antibody ipilimumab (Yervoy™), which prompts the body’s immune system to recognize cancers like melanoma as foreign. I also am working to develop vaccines against melanoma that we hope can be used to direct the patient’s immune system against melanoma cells that may remain following successful treatment. 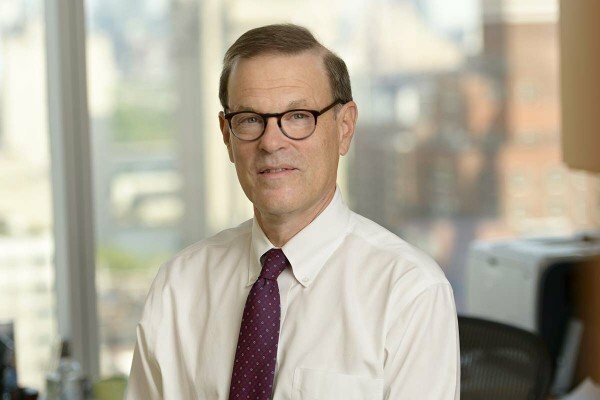 In addition to my work at Memorial Sloan Kettering, I am a professor of medicine at the Weill Cornell Medical College and am active in a number of scientific organizations such as the American Association for Cancer Research, the Society for Melanoma Research, and the American Society of Clinical Oncology. I also serve as the chair of the Melanoma Research Alliance Medical Advisory Panel. I am proud to have received a number of honors and awards for my clinical research, such as the Wings of Hope Award in 2007 from the Melanoma Research Foundation. Visit PubMed for a full listing of Dr. Chapman’s journal articles. Pubmed is an online index of research papers and other articles from the US National Library of Medicine and the National Institutes of Health.